If you’ve been looking for deals on new booties and full size boots for next fall and winter, you’re in luck. These along with sandals, flats and sneakers are included in the Frye: Women’s Footwear at Zulily. New to Zulily? First, sign up here, and then you can start shopping! 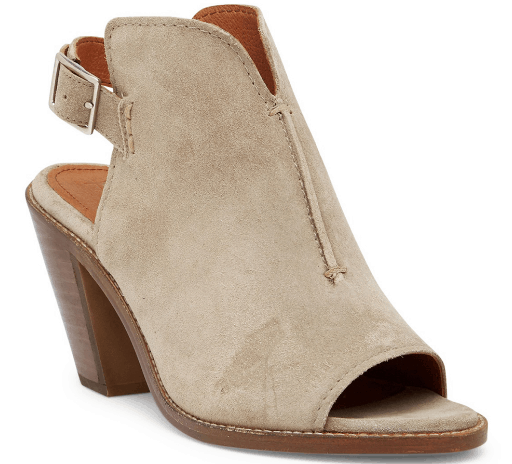 These Ash Courtney Suede Slingback Mules are perfect to wear now or in the fall. They look fabulous with skinny jeans, dresses and skirts, and more. Get these for $39.99 (reg. $198). I’ve been wanting a new tall boots for when the weather gets cold. 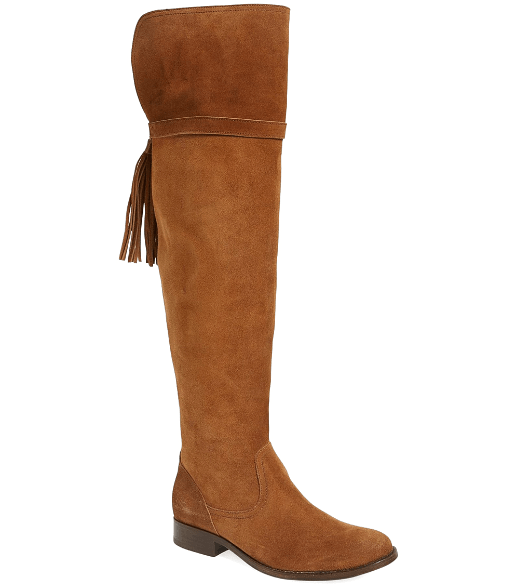 If you like over-the-knee boots, you’ll want to grab these Wood Molly Tassel Suede Over-the-Knee Boots while they’re at this steal of a price – $199.99 (reg. $548). Beach and pool season is almost here, so it’s time to start shopping for new swimsuits to add to your collection. There are some gorgeous pieces included in the La Blanca sale. The shirring on this Black Shirred-Front Convertible One-Piece is really flattering, so I am totally grabbing this one to wear. Get this for $59.99 (reg. $129). How pretty is the floral pattern on this Marina Floral Crisscross-Front Ruffle-Detail One-Piece?? And, I am obsessed with the ruffles! This swimsuit is on sale for $59.99 as well (reg. $135). 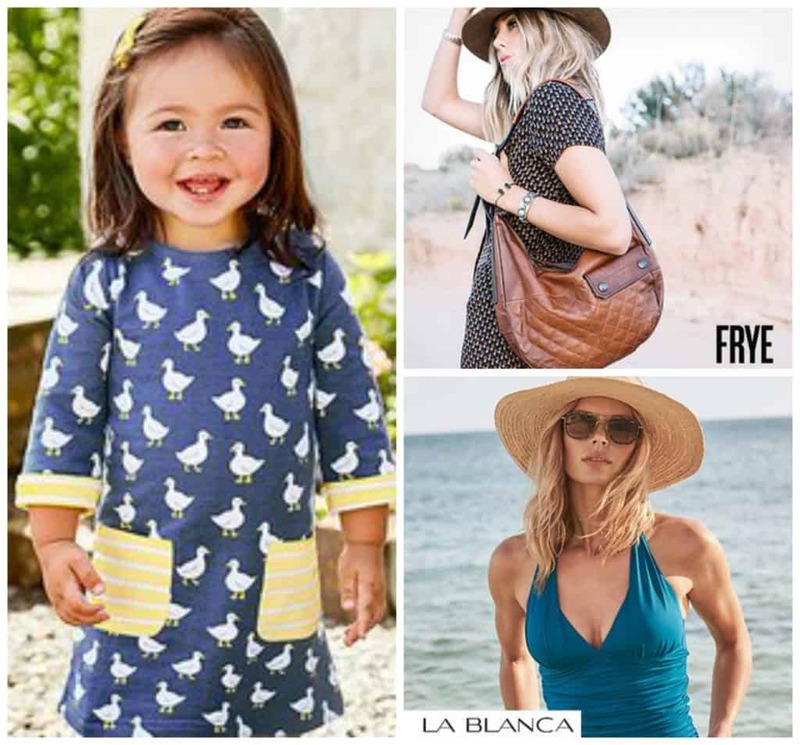 And, get some adorable new clothes for the kids during the JoJo Maman Bébé: Baby & Up sale. 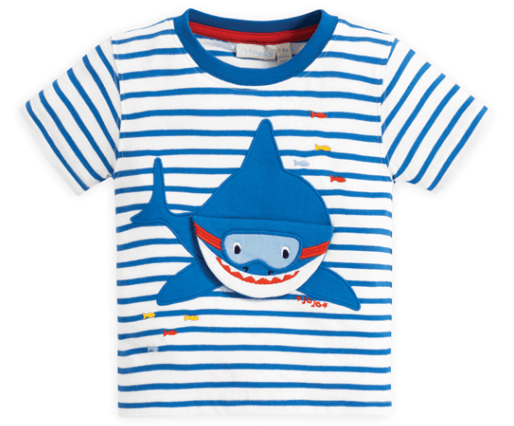 Boys will love this super cute Blue & White Stripe Interactive Shark Crewneck Tee. Get this for $17.99 (reg. $29). 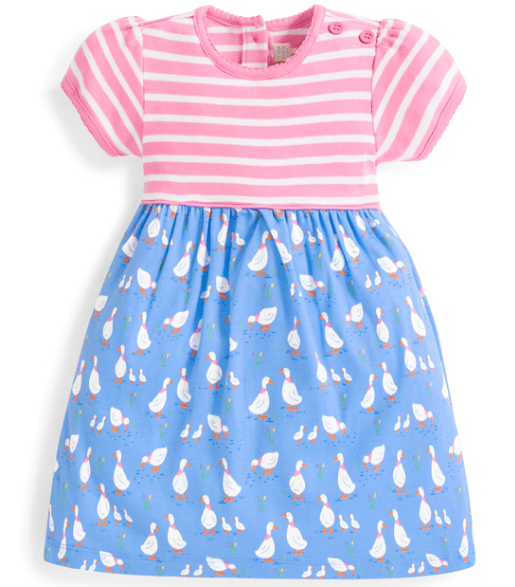 I think this Pink Stripe & Blue Duck Short-Sleeve A-Line Dress is too cute for words. This is one piece you’ll want to get your daughter. This is on sale for $19.99 (reg. $34).